Rain was lashing down as we get out of the ramen spot, angry rain, the kind that make Manhattan an archipelago of hiding places. Doorways, awnings, anything to get out from under it. But I was darting into the street to grab a picture. It was a BMW Z4 M Coupe idling down East 10th Street, and I couldn’t stop myself. I will be honest with you, I completely forgot that this thing existed. The clownshoe Z3s are unforgettable, by contrast. They’re weird breadvan kinds of cars, skunkworks projects done after hours, too weird to find their way out of my brain. 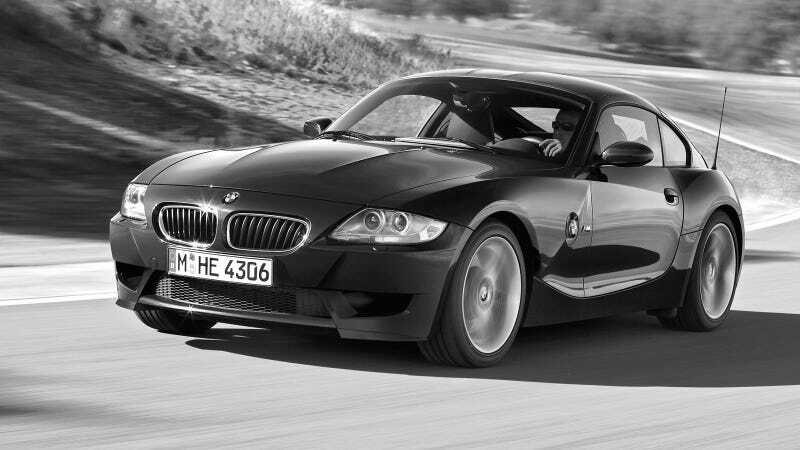 But the Z4 that succeeded it, much as I liked it at the time, started to feel a little try hard after not too long. It played the formula a little too well. That and car reviews of the time always put it down in comparison to the Boxster in terms of raw driving ability. If it wasn’t measurably better than a Porsche, and not more of a roadster than a Miata, what was the point, really? But these things look almost unreal on the road today. They’re like concept cars. The proportions are wild, and the creases seem like they couldn’t be approved for production. And the drivetrain is faultless. Behind the big headlights snarls BMW’s already legendary S54 straight six, with individual throttle bodies making a wailing 330 horsepower at 7,900 RPM. Hydraulic steering, too. So I don’t know why exactly I forgot about it. Maybe I’m just trying to block out of my mind all of my Bush Years memories. Wouldn’t be my worst plan.